Microsoft is currently working on improving the Windows Update experience for its Windows 10 users based on the feedback provided by the users. The company is working on bringing in a new predictive model based update system for Windows 10 users. The new Windows Update experience is already part of the new Windows 10 preview builds Redstone 5 and Redstone 6. The builds come with a new predictive model based on machine learning which determines if the system is currently in use or not. If the system is not in use then the Windows Update which has been pending to install starts automatically on your PC. The predictive model feature has been worked out in such a way that it accurately predicts the right time to restart the device. The new feature is currently being tested on Windows 10 devices internally and the company is working on improving the feature based on the user's feedback. 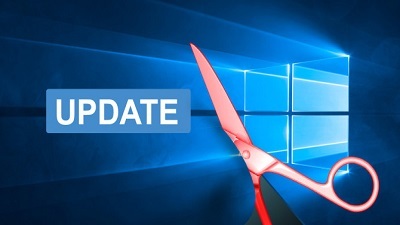 Microsoft is expected to push out the new Windows Update system for all users with the public rollout of Redstone 5 which is due in a couple of months time. This new feature was announced by Windows Insider Chief Dona Sarkar, she stated: “We heard you, and to alleviate this pain if you have an update pending we’ve updated our reboot logic to use a new system that is more adaptive and proactive. We trained a predictive model that can accurately predict when the right time to restart the device is”. The Windows Insider Chief also said that if all goes well during the testing period and no major issues are found, then Windows 10 users will be able to see the new feature with the public roll out of Redstone 5 which is scheduled to be finalized in September and rolled out expected in October this year.